Under no circumstances is there a flooding restoration job that Zach Goldman and his water damage Euless crews with 911 Restoration Fort Worth can’t handle with ease. Taking on the challenges presented by such situations is what Zach and his teams of experts do every single day and that has given them the experience they need to take on anything. “Even when the property owners themselves don’t think that things will ever be restored, we show them that anything can be done with the proper expertise and skill,” Zach says. 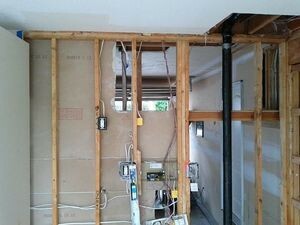 Eliminating the water is a crucial step in remediating the destructive nature of water as it wicks up drywall and soaks through studs which over time can affect the safety of your home or business. Avoiding water damage is always much more cost effective for saving a home than dealing with it afterward. Reacting quickly can save a home, but simple maintenance can prevent that from ever being a necessity in the first place. On the other hand if you’re already having a water damage incident take place in your home, then you need to call Zach and the water damage Euless experts with 911 Restoration Fort Worth today for all the tips and tricks you need to keep your home safe. Taking care of your home means more than simply keeping it clean when guests come over for dinner. It means making sure that the elements that can cause water damage and other disasters in your home are in check and as preventable as possible. Another trick that people can use to keep their homes safe from water damage is to make sure that they clean out their gutters and downspouts before the rainy season strikes. This will keep them from clogging up with leaves, twigs, dirt and other debris which can then create an overflow situation where water spills into and spreads apart the layers of your roof which then causes increased damages as ceilings leak and drywall gets soaked. 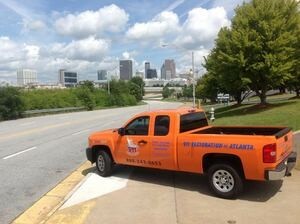 Finally, having a professional come and do a snake scope inspection of your entire plumbing system is a solid way to make sure that any rusted or corroded sections of the piping aren’t at a failure point which will then cause water damage. If your home is in the midst of a water damage scenario and you’d like the most capable experts in the industry to help you prevent it from occurring at all, then call Zach and the water damage Euless crews with 911 Restoration Fort Worth today! When Zach and the water damage Euless staff take on a water damage project, they do so knowing that there are likely to be challenges that no one expected at any turn. “One situation that we encountered recently was with a two story home where the upstairs unit was converted into a rental property and the tenant neglected to turn off the bathtub before heading off to work for the day,” Zach says. The downstairs renters didn’t even know that there was a looming water damage problem happening above them until there was a pool of water forming in their hallways as it dripped down the walls. When the whole job was done, Zach and his team ,made the place look like new again, but they also went the extra mile for the customer and helped to fill out all of the insurance paperwork so that they wouldn’t have to deal with the challenges of a water damage scenario at the same time as a conversation with the insurance agency too. If your home is experiencing a water damage event at present and you want to have the situation eliminated by the best in the industry, then contact Zach and the water damage Euless crew with 911 Restoration Fort Worth today!